Home OFF THE BEATEN MICE Is this the real life? Is this just fantasy? The Museum of Illusions is a museum of fun and educational experience, where you can test the limits of your perception. Inside, relativity is something that you experience quite literally. The illusions provide a different experience of space and everything you think you know about it. In the museum, each visitor is encouraged to think about perception, the human brain and science through the various installations in the form of holograms, puzzles and much more. Despite the fact that it has “museum” in its name, it is okay here to scream, laugh, run around, touch and be interactive with anything ‘on exhibit’. The central purpose of the museum is that it is fun, informative and, above all, different from other museums. The museum offers around 40 exhibits, optical illusions and holograms. Smaller installations such as the Mirror of Truth, Rubin’s Vase and Albert Einstein’s Hollow Face can be found throughout the museum. Photos and holograms change, appear and disappear in front of your eyes. 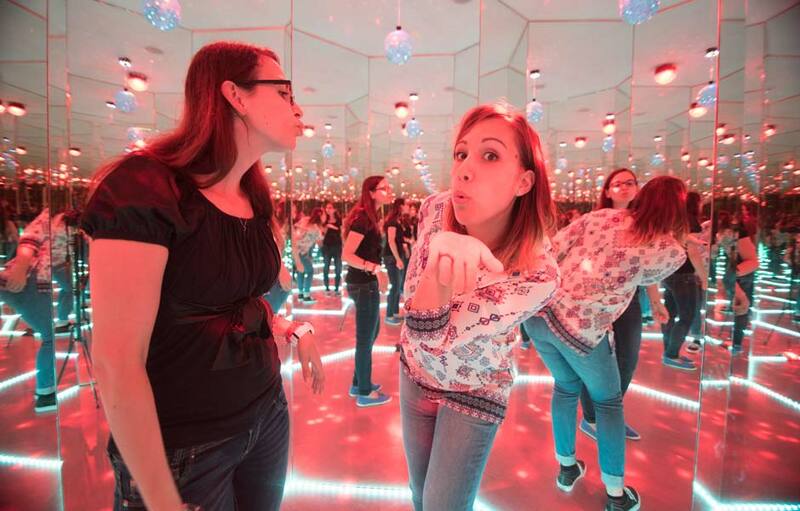 In the museum, you will also find various rooms of illusion: the anti-gravity room, a rotated room, the infinity disco room, the vortex tunnel and a playroom with didactic-logical games and enigmas. Hotel Cubo is located in the centre of Ljubljana and a stone’s throw from the Museum of Illusions. It is housed in a historic, protected building that has been enriched with a fresh, modern design. An excellent location, spacious rooms and select furnishings represent only a small part of what a superior hotel must offer its guests. The hotel is also capable of providing all the services of large hotels, but with a distinct, intimate atmosphere with special attention paid to each guest. Business guests will be particularly charmed by the hotel offer, as they will find a fitness room, a multipurpose space for business and social events and a restaurant that is also available for outside guests. Looking for a special venue that will captivate and inspire attendees? 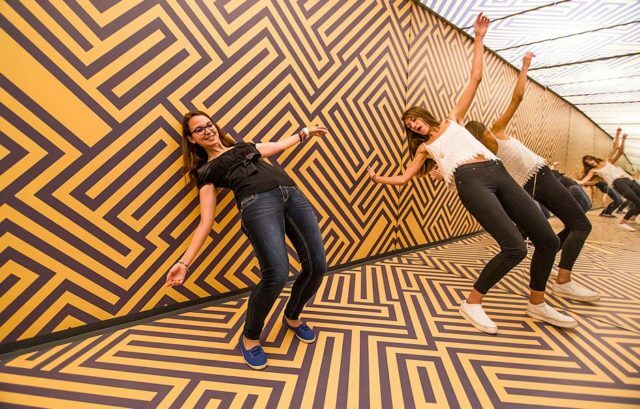 Then the Museum of Illusions is your perfect choice! You can plan any kind of event here – press conferences, a celebration or theme party, launching a new brand, video shoots, corporate events – you name it! In the past, they have hosted various events at different times and have also cooperated with the Unicef project, when the Museum of Illusions became a “Museum of Reality” with the Unicef theme. Through all this work the museum has learned that the venue is special in itself, the layout of the items and carefully selected content bringing the best to the venue and bringing a special ambience and colour to each and every event held there. As the museum is divided into two levels it can feel like being in an apartment and offer a feeling of familiarity and intimacy, whilst the lively layout of each room simultaneously creates a feeling of exploring and discovering the unknown. The Museum of Illusions will meet all of your needs, so all you need to do is make the decision to offer your employees or partners a completely unexpected event. Be brave and choose something unexpected and exciting! Although the Museum of Illusions is new to Ljubljana, it’s not the first of its kind in Europe. Zadar, Croatia, also has a Museum of Illusions, as does Barcelona, Moscow and St Petersburg. 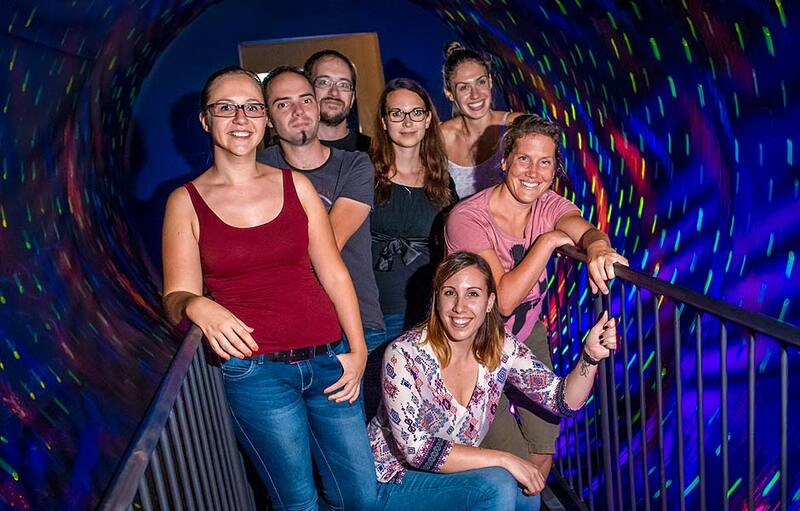 Taking care of the smooth functioning, fresh breezes and crazily innovative ideas in the museum in Ljubljana are nine young people who enjoy the illusions and get to experience them every single day. The museum is located at Congress Square (Kongresni trg), which is one of Ljubljana’s central squares, so the Museum of Illusions is hard to miss. There are plenty of important monuments around the square and you’ll find the University of Ljubljana and Slovenian Philharmonic buildings there too. Next to the square is Zvezda Park, which stretches across the central part of the square and is also the site of several historical attractions, such as the gilded bronze statue of a Roman patrician.